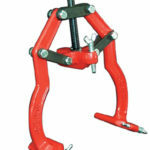 Pipe Welding Clamps (pipe fit-up tools) are designed to align and reform pipes, elbows, tees and other fittings within their range, while providing the maximum amount of safety for the welder. 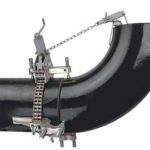 Protier stock a wide range of pipe clamps & chains suitable for carbon & stainless steel, from leading brands such as Mathey Dearman, PIPE and Wizard. 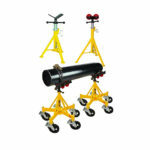 Suitable for a range of applications, the pipe threading equipment Protier offer allow jobs to be completed easily and reliably. 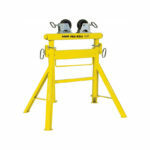 Whether you require free standing, hand held, electric or manual, we have the product for you. 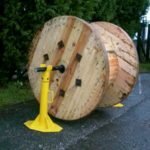 Pipe rollers or Pipe support systems are a simple yet versatile design that allow the manipulation of pipe, cables and many other cylindrical objects. 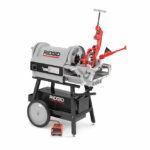 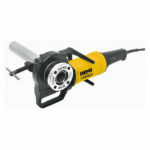 Available in both ‘Push’ for moving pipe or cables and ‘Rotating’ for turning items for welding or to get the correct orientation.